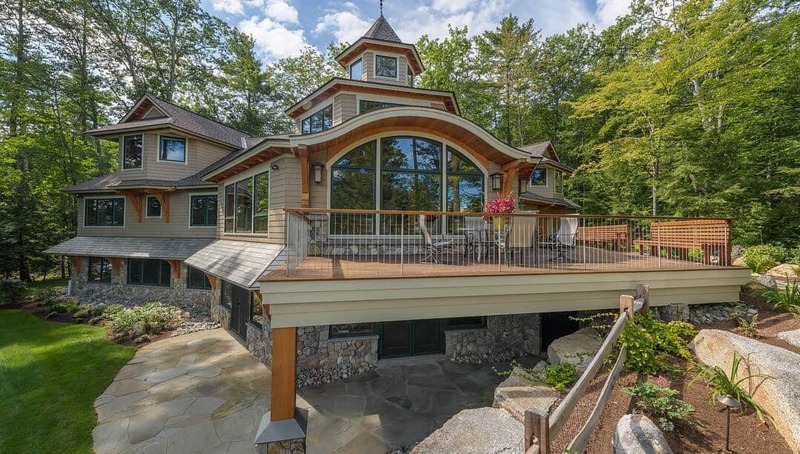 Located on Blackey Cove, this beautiful Winnipesaukee estate boasts a simple but elegant landscape that matches this one-of-a-kind home built by Meridian Construction. From start to finish, careful attention was given to detail. 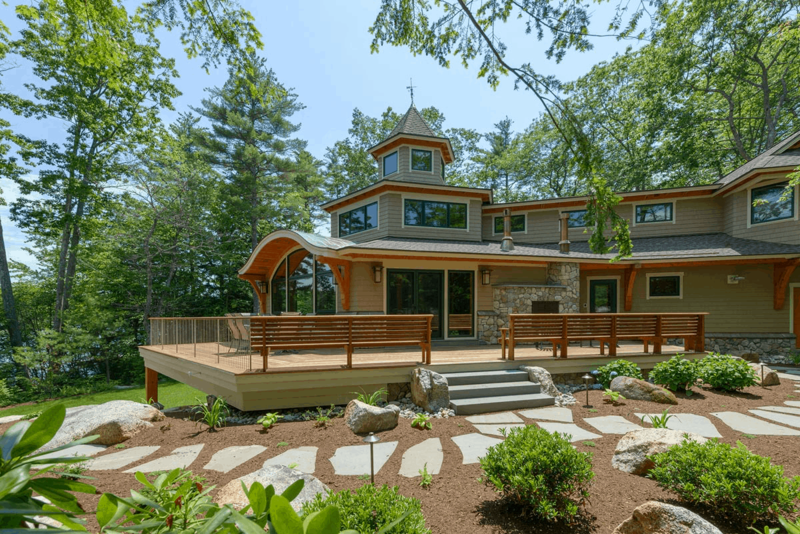 The homeowner wanted to preserve the natural beauty of the natural landscape, which included shielding and fertilizing existing trees to protect them against the stresses of construction. Heavy blasting done to accommodate the footprint of the new home, created rugged ledge outcroppings for the landscape designer to work around. 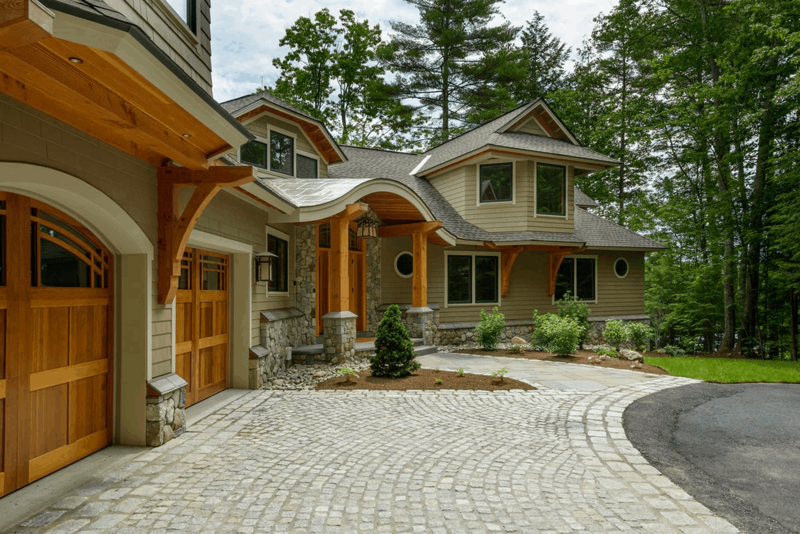 Hand picked bluestone stepping stones with deep brown hues were selected to match the terrain. The designer opted for oversized, white washed river stone with hints of pinks and tans to match the colors and textures of the home. 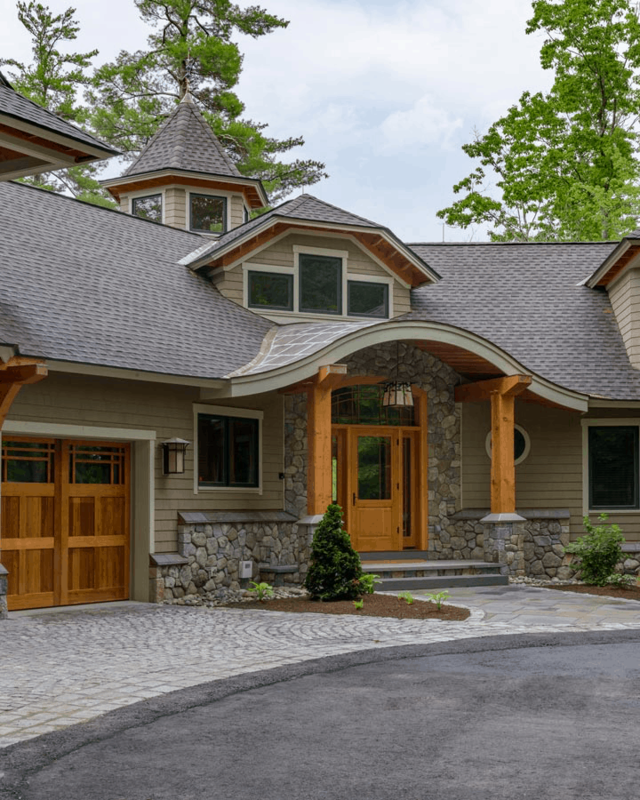 A selection of native and ornamental plants were installed to the homeowners liking, and a fescue sod lawn was installed to accommodate the shaded setting.